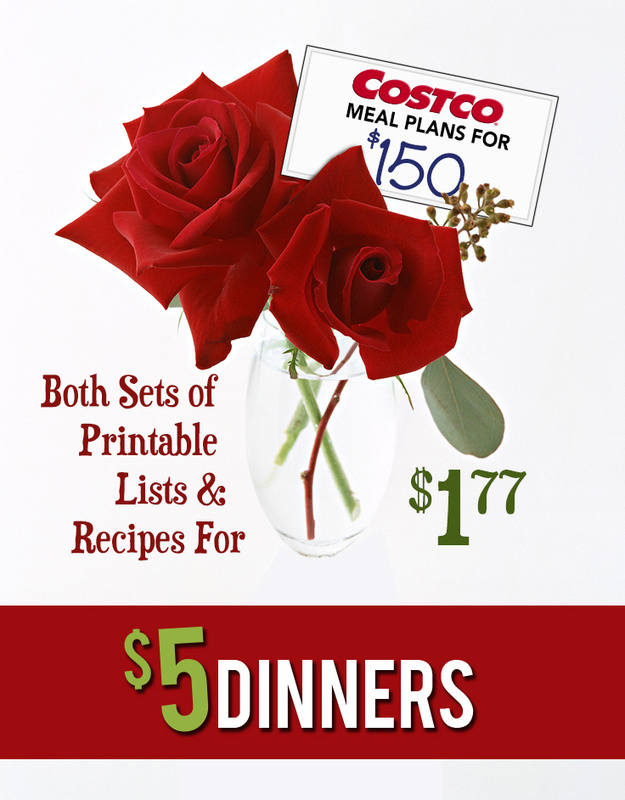 Costco Meal Plan Printables – $1.77 Valentine’s Sale! Since I really can’t send along a bunch of flowers to each and everyone of you to show how grateful I am for your support of the site, the recipes and everything we do around here…I thought I’d offer a great discount on BOTH of the printable sets for the Costco 20 Meals for $150 meal plans! Give yourself the gift of savings! I’ve temporarily reduced the prices of the printables, so you can now get both sets of your printables for just $1.77! Sale ends at midnight EST on Valentine’s Day! Don’t you have another website or 2? One skillet meals or something? looked everywhere for it and can’t find it. BTW, I have your lunch cookbook and I love it! wow, your site is pretty awesome. looking forward to many more deals and tips from you! Was are you charging for these. They were free a few weeks ago. I always came to your blog because there were many ideas that helped me save money. I purchased and dowloaded to my phone, but am unable to open the file ob my phone. Is it possible to have them emailed?